A couple of weeks ago I shammed my hubby on instagram (see post here)well now I am shaming the baby! As I was feeding Izzy yesterday morning little Miss Monkey pushed the dog aside and took a handful or two of food. 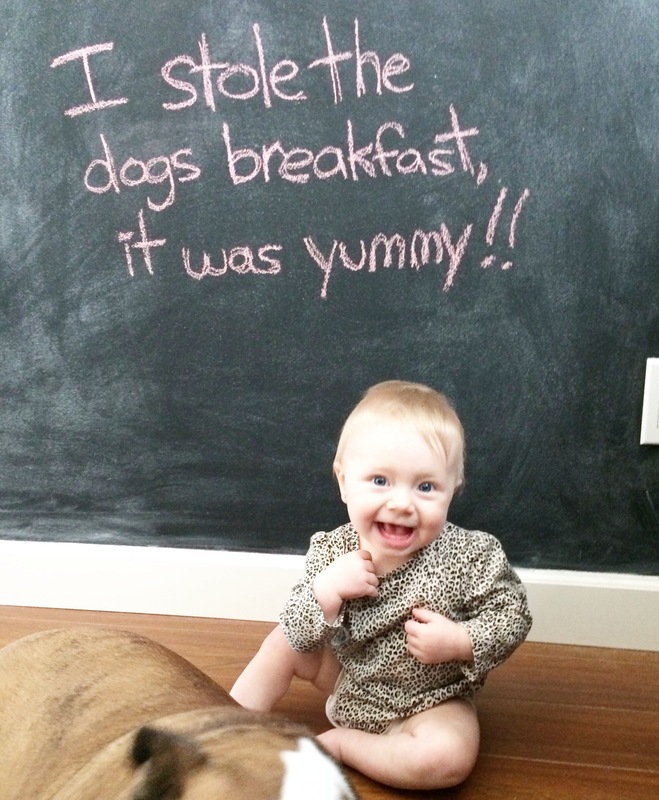 She was shoveling the kibble into her little mouth as fast as her little hands would allow her. I of course had to pause to take a picture (can’t wait to bring this up at her wedding one day). 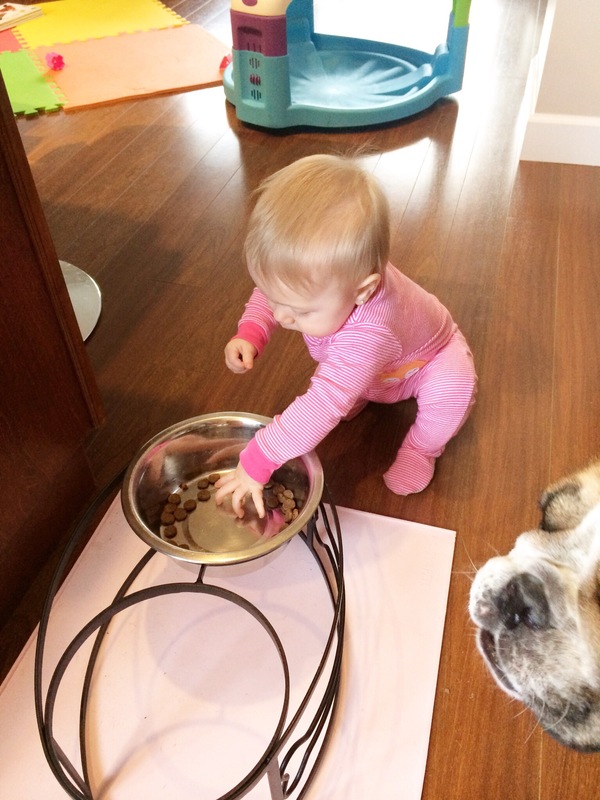 As I picked her up to put her in her high chair she unclenched her hands and it was raining kibble across my kitchen. I would love to say she won’t be doing that again but who am I kidding, she has just started moving, its bound to happen again! 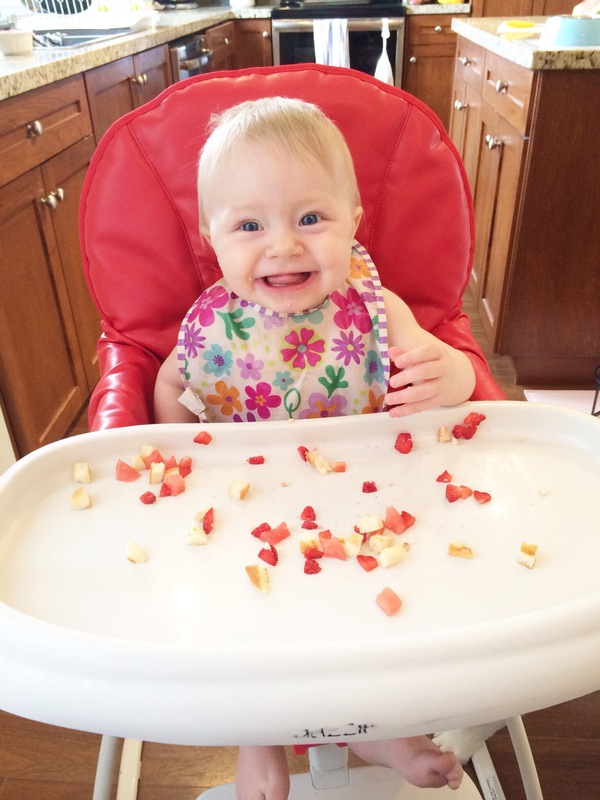 Her actual breakfast, pancakes, strawberries and watermelon, boy was she a sticky mess after!